FYI... just to add some tid-bits here... The "Pedestals" you see today were altered for either the 2nd or 3rd season of operation. Originally, the water bowls sat on top of the simple round cylindrical "tubes." Later, for decoration (and added support) the bowls were given 8 support arms each. In the pictures above you can see how the original pedestal "tubes" still exist and the original bowls with the later-added arms sit over top of them. The original IS configuration's street-scapes, curbs etc were all removed/altered for the first Winterfest in 1982. That's also when the "trees" were added along the fountains. The pavers on IS are the oldest in the park - and were added many seasons (1982) before other areas in KI - they have been repaired/replaced a few times over the years. The fountain and its filtration system was completely overhauled in 2003 due to a severe series of "cracks" that left the original concrete crumbling and leaking underground in places. Basically, they built a fountain over the fountain. This was also done in prep for the return of the 2005 Winterfest. For 2005's Winterfest, additional pathways from IS down to the fountain were added for access to the ice-rink. There is a long-standing rumor that a capsule of personal momentos may have been placed under IS by the original designers/contractors. But I've never had it verified officially. With Firehawk being removed and the speculated giga it's quite easy for the cars to be overlooked. I think we hit a jackpot with this year's additions. I really really hope they don’t cut down the I street trees. Other than that, SUPER exciting!! Here is an interesting tidbit that has slipped through the cracks: It was mentioned that the International Street Bandstand would also be expanded. This is both an upgrade and a logistical piece. It’s a not-so-kept secret that the Bandstand is simply the roof of the pump house for the fountains. The current fountain setup consists of sand filters, which are an old technology. These are very large - about the size of a Smart Car and a half. These will likely be replaced with cartridge filters that will both increase the fountain’s turbidity and be able to handle the PSI associated with the new fountain technology. These are much smaller. To remove the old sand filters would be an interesting feat. You could cut them up, or (more likely) destroy the stage and remove them vertically. So the fact that the Bandstand is being redone and the fountains are being redone at the same time. I am familiar with the “show fountain” technology that is typically used, but do not know the specifics of what they are doing. Kings Dominion has a pump house the size of Kings Island’s current one, but their fountain lacks the inherent complexity of KI’s. I have a feeling that more space is needed. The cool part about this is that, if they do essentially raze the Bandstand then they have a fantastic opportunity to start from scratch and build it in a manner that meets the needs of 2019 and beyond. Don’t forget that for the core season, Peanuts Celebration, and Winterfest, they extended the stage with large risers, which may not be necessary moving forward. @Imperial79 At one time all of them did. Octoberfest had signs right off international street. Coney of course and then Planet Snoopy was Hanna Barberra. Rivertown currently has one near RFYLCB, as well as X-Base. I’ll see if I can locate a picture of the Octoberfest sign. edit: here is the Oktoberfest sign. This is awesome news! This is actually the best improvement they could make at the park IMO. Kings Island's International Street has been way outdated and not-so-nice for a while. Lack of shade. The hideous white picnic tables. Tables right up against the walkways. King's Dominion's International Street is so much nicer that present KI. Kings Dominion has lots of wonderful trees and lush landscaping. There is shade EVERYWHERE. There are nice umbrella tables by the fountain to sit, and they are separated from the walkways with landscape islands. Let's hope that King's Islands ends up like this as well. Lets hope the plant more TREES! King's Dominion International Street at Winterfest also blew way the Kings Island version. It was much more immersive with the lights in the trees all above you wherever you were walking. Although King's Island's Snowflake lake was better because it was lower in the ground and more visible. It looks like they are taking the ugly pedestal fountains out. Kings Dominion and Canada's Wonderland's fountains come directly out of the water, which is a much sleeker look. Hopefully that is the case as well. I am soooo happy Cedar Fair bought these parks. In the begin, I thought they would become generic parks because of the way Cedar Fair didn't care much about atmosphere or theming in the past. But they are returning the Taft parks to their former glory after the destruction that Paramount did. I really hope you’re right too. What I’m thinking is that based on the fact that the pedestals are clearly being painted in the photos they’re here to stay. My pitch for overhauling Oktoberfest to its former glory while adding a new twist to the once beloved section. Expand Oktoberfest to include Tower Gardens to add more space Remove Hank's Burrito Shack and replace it with something more "German" Have the area sell exclusively German food like giant pretzels, sausage, etc. Bring back the classic Spinning Keggers Bring back the old clock outside of the Festhaus Add German theming around the area like flags, possible FCC soccer banners because of their German roots Move Slingshot to X-Base to allow more room for another flat Remove the ladder game and shorten the Adventure Express que to allow for more room Oktoberfest has been arguably the most neglected of the original 5 sections that debuted when the park opened in 1972 so bringing the area back to its former glory would be a welcomed return- especially if its done for the park's 50th anniversary. 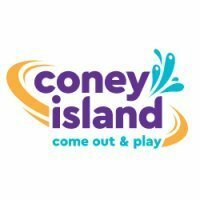 Hope to see the Coney Mall sign return, I think there is a chance for it too, since KI is bringing back the theming. https://www.wcpo.com/news/crime/mason/kings-island-international-street-gets-facelift-before-spring-opening Looks like the Royal Fountain will be getting new LED lights and new nozzles. Hopefully the pedestals return as well. Curious to know what the more room in front of the Eiffel Tower for celebrations means. Are they taking out the bandstand, or pulling the midway closer to the base of the tower? I too hope they do not cut down all of the trees. I also hope that the seat walls return. It is a great place to grab a quick seat. I am excited to see what the finished product looks like. Is it April yet? I bet they'll be untouched.... Something tells me they'll be needed again. Is Kings Island adding a loyalty program? I bet games and mech is where they need to increase per caps on us pass holders. That might be their target? https://www.wlwt.com/article/kings-islands-international-street-getting-first-ever-complete-makeover/25916527 HOLY SMOKES!!!!!!! I had a gut feeling this was coming soon! I'd be for the return of the "Bavarian Beetle" along with the Kegs. KI is one of the only main CF parks without a wildmouse. A spinning Wildmouse coaster would fit in nicely with the theme... I’d personally like to see all of the themed area signs return. Oktoberfest. That area is due to be brought back to how it was. It now feels like the small part between Coney Mall and AZ. I would bring back some of the german stuff (like they had at Winterfest, but keep it permanent.) I would also love to see the barrels return and some more flat rides. They could even do a coaster in that area. Maybe something like Copperhead Strike or even Maverick over the pond themed to the area. I would like to see Slingshot removed or relocated to Xbase or something. I'd die if the Phantom came back!! So to be clear, the large trees would not be in line with how I Street looked in the 1970’s. I know that one apprehension that the design company had with doing the “fountain” treatment years back was that the trees obstructed the view of the fountain. Most old schoolers don’t like the trees. My main concern is that they did some cool stuff with them during WF, so it’ll be interesting to see what, if anything, they do to replace that. Also, and this is a long shot, but removing the trees does make the possibility of projection mapping the IS buildings for Haunt a real possibility too. I actually prefer KI's because you can actually see the Eiffel Tower. KD's Eiffel Tower seems obstructed due to the abundance of trees. From @DonHelbig Mark your calendar! Coasterstock 2019 at Kings Island will be held May 17-18. Full details will be released later this month including the on-sale date for tickets. Ugh..7 hrs 22 min by car but 1 hr 5 min by plane. KI fan based in Charlotte. I got Fury 325 tho to keep me busy until each June. yeah I think it will be a creature of some sort. Nothing with Force in it. Not will Mill Force in the same state. I just want to say that whatever happens, I really hope Chaos comes back next year; I really loved the theme of that maze! Island Club. You can literally watch the fireworks and the Eiffel Tower light show from the walkway in front of our apartment. You'd think it was comfortable walking distance, but there are no sidewalks on Columbia Road, and trying to traverse the thick, wooded buffer between our complex and Western Row Road would prompt "Gimli" from "Lord of the Rings" to ask "What madness drove them in there?"